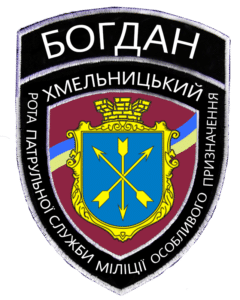 Company Bohdan (Рота Богдан) was established on the order of Ministry of Internal Affairs in June 2014 in Khmelnytskyi region. 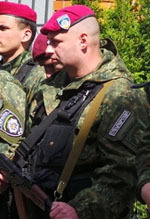 Unlike most of the volunteer units serving under the Ministry of Internal Affairs, Bohdan company was formed from police officers, which most of them were serving in local detachment of Berkut. 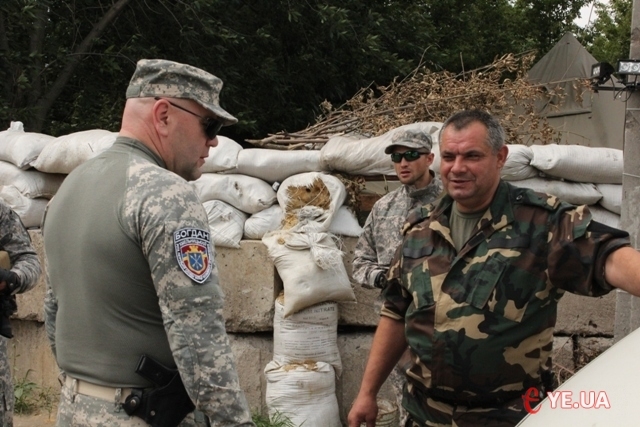 Oleg Krakowski, the commander of Bohdan Company, never hid the fact they are ex-Berkut officers. 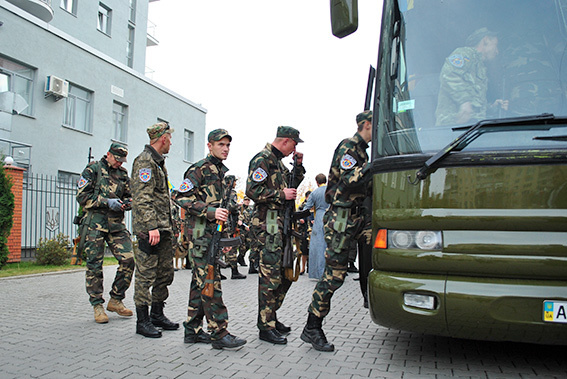 In fact, he criticized the order to disband Berkut and blamed current situation in the east on that. 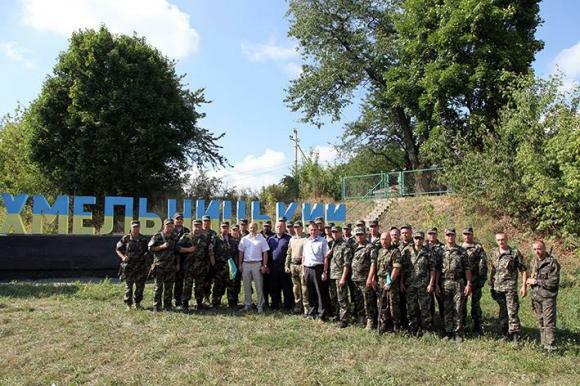 They worked together with volunteers of Khelmytsky self-defense and some members joined the Bohdan company later. 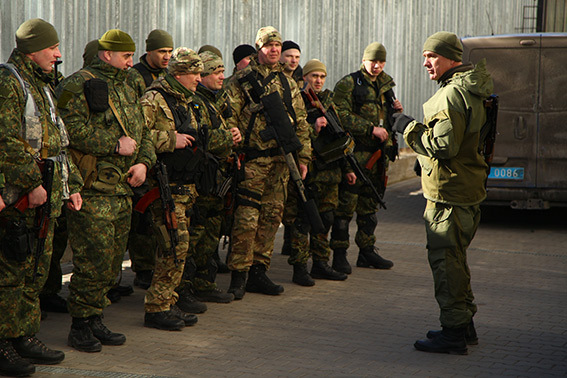 The structure of the battalion is unknown. 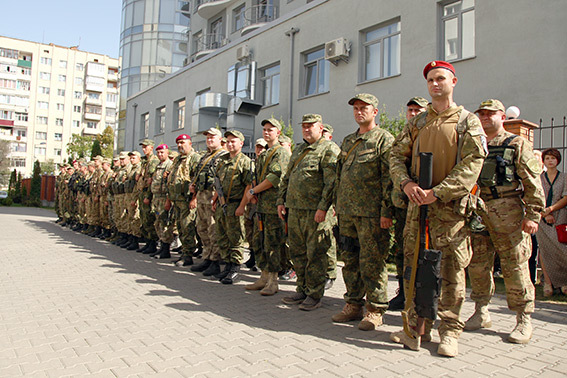 Universal Camouflage Pattern (UCP) is digital camouflage and not commonly used in Ukraine. The pattern performs well in the urban environment but general performance was many times questioned. Unofficially known as M81, was default US camouflage pattern in 90’s and later in other states as well. 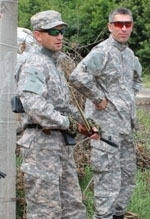 Ukraine uses a locally made version with several adjustments that resemble the Croatian woodland pattern. 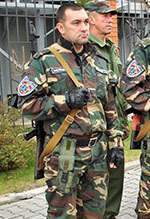 Russian version of tigerstripe camouflage pattern, known as Tigr (tiger) or Shadow. 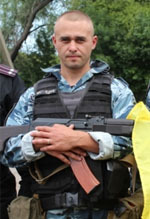 The variant was worn only by Ukrainian Berkut. 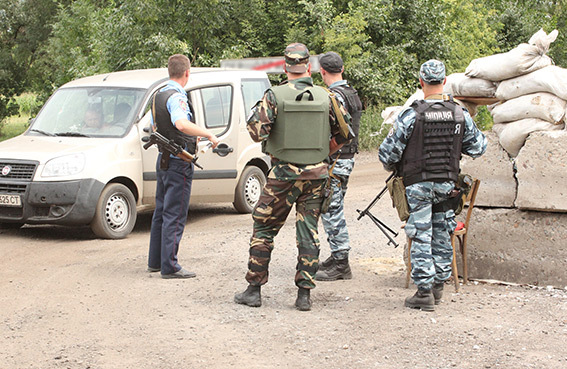 Sporadic skirmishes around Vuhlehirsk in 2014.